The ASD FLX gets its name from its modular design with front loading modules for easy access and flexible voltage assignment. The chassis with removable, lightweight modules allows for easy one person installation. Furthermore, this product has a wide range of voltage input, 324 VAC to 528 VAC, giving it the flexibility to be utilized globally in a single configuration. The ASD FLX with its 3U, 30kW water-cooled packaging provides one of the highest power densities available with outstanding output ripple and noise. The water-cooling allows for use in environments that normally exclude air-cooled power supplies. Advanced digital controls included in the ASD FLX have the ability to allow you to program slew rates, such as current and voltage, as well as program transient response times to emulate specific recovery times. The ASD FLX optional advanced features also allow you to program different “fault levels”, enabling detection of output cabling, connections or load problems before they cause critical system problems. The factory flight data recorder feature has the ability to record parameters such as voltage, current, power, load impedance, faults and input voltages, allowing the factory to easily determine “why” you had an unexpected outcome. development, test and system requirements. Change ranges (piston-cylinders) in seconds, without using tools. Handle and interchange piston-cylinders without exposing critical surfaces to contamination. Protect the piston-cylinder from damage due to accidental shock or impact when handling. Improve measurement reproducibility by avoiding frequent assembly/disassembly of mounting components. Improve piston-cylinder mounting design by allowing each mounting system to be optimized for a piston-cylinder size and range. The number of independent parts between the piston and mass load has been reduced to two—the piston cap and the mass loading bell. The piston head is effectively made part of the piston by machining it after installation concentrically to the piston within ± 20 microns. The electronics for monitoring all ambient and instrument conditions and functions are integrated into the PG7000 platform. RS-232 and IEEE 488 interfaces are included for remote communication. The system power supplies are also contained in the terminal to remove their heat source from the PG platform. For local operation, the user interacts with the PG7000 through a keypad and alphanumeric display on a compact terminal, allowing rapid, intuitive operation. PG7000 includes integrated on-board measurement of all the ambient and operating conditions needed to calculate pressure within tolerance, including relative humidity, barometric pressure, ambient temperature, piston-cylinder temperature, and reference vacuum. Individual measurements can be observed in real time, both locally through the PG terminal and remotely over the RS-232 or IEEE 488 interface. Verification and recalibration of the on-board sensors is supported by embedded software. PG7000 measures and provides real time indication of piston position, drop rate, rotation rate, and rotation decelaration. Piston position is measured on the LVDT principle, with a ring on the inside of the mass loading bell acting as the armature. Rotation rate is measured optically by a sensor in the mounting post, which detects the movement of a notched ring on the inside of the mass loading bell. Both measurement systems are completely non-interfering, with no influence on the free movement of the piston in any axis. The “ready/not ready" indication provides the operator with a clear “go/no go" indication of when an in-tolerance measurement can be made. It is based on testing for a variety of operating conditions, including piston position, piston fall rate, piston rotation rate, piston rotation deceleration, piston temperature rate of change and vacuum reference (when applicable). A ready condition is indicated when all conditions fall within specific limits. The limits for the various ready/not ready criteria can be customized by the user if desired. One of the most tedious aspects of operating a conventional piston gauge is adjusting pressure to float the piston. The piston lifts suddenly and without warning at the exact pressure corresponding to the mass loaded on the piston. Finding that point without overshooting requires slow and cautious pressure control. PG7000 makes it easier to float the piston with a piston preloading system, which provides advance warning that the pressure is near the point where the piston will leave end of stroke. The preloading system only affects the piston when it is at end of stroke; it does not interfere with the free movement of the piston when it is floating. PG7000 is the first commercially available piston gauge to provide monitoring of rotation rate and decay in rotation rate. These measurements are used to assure that pressure readings are always made within limits. This relieves the operator of rotation rate monitoring responsibility and replaces subjective operator judgment with objective measurement. The PG7000 piston gauge platform and mass set are packaged in heavy duty, weather proof, molded transit cases with custom inserts to provide optimum protection. PG7000 piston-cylinders modules are delivered in compact, virtually indestructible PVC bullet cases. All PG7000 pressure accessories are designed to increase the efficiency and ergonomics of piston gauge operation. These include manual, semi-automated and fully automated options to quickly and easily generate pressure and float the piston at the set point. COMPASS software sets up records for the units under test (UUT), defines and associates test procedures with UUTs, runs tests, acquires reference and test data, produces standard and custom calibration reports. All reference, UUT and test data is collected and stored in a database and standard delimited files. COMPASS can manage any kind of test from manual operator control and logging of test data to fully automated, unattended test execution. The PG7000 line of piston gauges covers the complete range of pressure from very low absolute and differential in gas, up to 500 MPa (75 000 psi) in oil. While several piston gauge platforms and specialized accessories may be needed to cover different ranges and media, a consistent user interface and operational principles are maintained throughout the line. In most cases, complete gas and oil calibration capability can be achieved with just two PG platforms, four piston-cylinder modules and one mass set. Maintaining consistency from system to system makes them easier to learn and to use. Maintenance costs are reduced by minimizing the number of metrological elements to be supported. The piston-cylinder defines effective area and is the piston gauge’s principal metrological element. The piston-cylinder’s intrinsic characteristics and how it is mounted and exploited are the keys to piston gauge performance. PG7000 piston-cylinders are manufactured by Fluke Calibration using proprietary production techniques that result in pistons and cylinders whose typical shape is within less than 0.2 micron from ideal geometry. Pure gas operated piston-cylinders use large diameters and very small annular gaps to minimize gas species and operating mode effects and to maximize piston float times. For example, the typical annular gap of a 35 mm gas operated piston-cylinder is less than 1 micron. Oil operated piston-cylinders use small diameters to reduce the quantity of mass needed to cover the typical high pressure range. All Type 7000 pistons and cylinders are made of tungsten carbide. Each PG7000 piston-cylinder is a complete, integrated metrological assembly that includes the critical piston-cylinder mounting components for improved metrological performance. All Type 7000 piston-cylinders use free deformation mounting systems in which the cylinder is allowed to deform under the influence of applied pressure, without O-rings or seals along the cylinder length. For higher pressure gas assemblies, a new mounting system, negative free deformation, applies the measured pressure uniformly along the full length of the cylinder. This reduces deformation under pressure, so piston drop rates remain low even at high operating pressures, while avoiding the unpredictable strain points of conventional reentrant designs. Masses loaded on the piston are accelerated by gravity to apply a known force on the piston against which the defined pressure is balanced. A PG7000 manual mass set is made up of main masses of 10 kg or 5 kg, fractionary masses in 5-2-2-1 progression from 0.5 kg to 0.1 kg, and a trim mass set with masses from 50 kg to 0.01 g. Any desired mass value within the mass set range can be loaded to 0.01 g. All main and fractionary masses are machined from solid, nonmagnetic stainless steel and adjusted to their nominal values in the mass without cavities or trimming hardware which can reduce mass stability over time. Individual masses are comfortable to handle, with angled lifting surfaces on the edge of each mass and special mass trays that assist in orderly loading and unloading. A PG7000 automated mass set is composed of main mass discs of 6.2 or 10 kg each and a set of tubular masses in binary progression from 0.1 to 3.2 or 6.4 kg. A pneumatically driven automated mass handling accessory (AMH) loads requested mass values in increments of 0.1 kg. The AMH and mass set are easily removed to access the piston-cylinder module when necessary. LogWare III performs remote environmental condition monitoring and data logging, and logs a virtually unlimited number of concurrent log sessions into a central database. That means data from many DewKs can be managed in real time via Ethernet, RS-232, or wireless connections. LogWare III allows you to customize your graph trace color, alarms, and statistics as you go. You can start/stop log sessions from your computer. LogWare III supports “hot-swapping," which allows you to remove and replace sensors without shutting down the log session. LogWare III also supports security features such as passwords for individual users or groups/teams, a built-in administrator account, pre-defined user groups, and customizable permissions to ensure the integrity of all stored data. Customizable e-mail settings allow you to send e-mails to designated recipients, including cell phones and PDA’s, when a log session begins, ends, or is aborted; when the DewK’s battery is low; when a sensor calibration is due; or when a temperature/humidity alarm is exceeded. Data stored on the DewK can be imported into the software, which is a handy feature when power outages disable the network, or when you are unable to physically connect a DewK to the PC or to the network. Are you ready for a deep dive into your data? Historical environmental data can be viewed by sensor (model/serial number) location or log session and displayed in a spreadsheet-style grid. Logged data can also be exported to HTML, RTF or ASCII text for use in your analytical software, or simply print historical data and graphs. Customizable graphs in LogWare III with zooming capability are an easy way to analyze your data history, and data points that need to be explained can be highlighted, annotated, and referred to later. LogWare III statistics include min, max, spread, average, and standard deviation functions, and printed reports keep track of the percentage of temperature and humidity measurements that were found to be out of tolerance. The XG 1700 is an industry leading programmable DC power supply designed for test, production, laboratory, OEM and quality assurance applications. The XG 1700 is a 1700 Watt, 1U programmable power supply with constant voltage and constant current modes, automatic cross-over and numerous features enabling cost effective, easy integration. The XG 1500 is an industry leading programmable DC power supply designed for test, production, laboratory, OEM and quality assurance applications. The XG 1500 is a 1500 Watt, 1U programmable power supply with constant voltage and constant current modes, automatic cross-over and numerous features enabling cost effective, easy integration. Simplify complex motor-drive troubleshooting with guided test setups and automated drive measurements that provide reliable, repeatable test results. 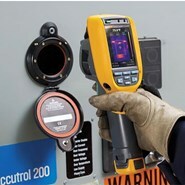 The Fluke MDA 510 and MDA 550 Motor-Drive Analysers save time and eliminate the hassle of setting up complex measurements, while simplifying the troubleshooting process for variable frequency drives. 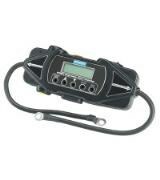 Simply select a test and the step-by-step guided measurements show you where to make voltage and current connections, while the preset measurement profiles ensure you will capture all the data you need for each critical motor-drive section—from the input to the output, the DC bus, and the motor itself. From basic to advanced measurements, the MDA-500 Series has you covered, and with a built-in report generator you can quickly and easily generate as-found, and as-left reports with confidence. The MDA-510 and MDA-550 are the ideal portable motor-drive analysis test tools and can help safely locate and troubleshoot typical problems on inverter type motor-drive systems. Measure key motor-drive parameters including voltage, current, DC Bus voltage level and AC ripple, voltage and current unbalance and harmonics (MDA-550), voltage modulation, and motor shaft voltage discharges (MDA-550). Perform extended harmonics measurements to identify the effects of low and high order harmonics on your electrical power system. Conduct guided measurements for motor-drive input, DC bus, drive output, motor input and shaft measurements (MDA-550) with graphical step-by-step voltage and current connection diagrams. Use simplified measurement setup with preset measurement profiles to automatically trigger data collection based on the chosen test procedure. Create reports quickly and easily that are perfect for documenting troubleshooting and collaborative work with others. 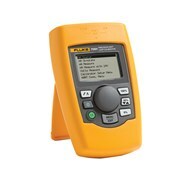 The Fluke MDA-510 and MDA-550 Motor Drive Analyzers use guided test measurements to make analysis easier than ever. Measure input voltage and current to quickly see whether values are within acceptable limits by comparing the variable frequency drive’s (VFD), also known as a variable speed drive (VSD) or adjustable speed drive (ASD), nominal rated voltage to the actual supplied voltage. Then, check the input current to determine if the current is within the maximum rating and the conductors are suitably sized. You can also check whether the harmonic distortion is within an acceptable level by visually inspecting the waveform shape or by viewing the harmonics spectrum screen (MDA-550) with total harmonic distortion and individual harmonics. Check the voltage unbalance at the input terminals of the frequency speed drive so you can ensure the phase unbalance is not too high (> 6-8 %), and that the phase rotation is correct. You can also check the current unbalance, as excessive unbalance may indicate a drive rectifier problem. Excessive harmonics are not just a threat to your rotating machines but also to other equipment connected to the electrical power system. The MDA-550 provides the ability to discover the harmonics of the motor-drive but can also discover the possible effects of inverter switching electronics. The MDA-550 has three harmonic ranges, 1st to 51st Harmonics, 1 to 9 kHz and 9 kHz to 150 kHz giving the ability to detect any harmonic pollution problems. In a motor-drive the conversion of AC to DC inside the drive is critical, having the correct voltage and adequate smoothing with low ripple is required for the best drive performance. High ripple voltage may be an indicator of failed capacitors or incorrect sizing of the connected motor. The record function of the MDA-500 Series can be used to check DC bus performance dynamically in the operating mode while a load is applied. Check the output of the inverter drive focusing both on voltage to frequency ratio (V/F), and voltage modulation. When high V/F ratio measurements are experienced, the motor may overheat. With low V/F ratios, the connected motor may not be able to provide the required torque at the load to sufficiently run the intended process. Measurements of the Pulse Width Modulated signal are used to check for high voltage peaks which can damage motor winding insulation. The rise time or steepness of impulses is indicated by the dV/dt reading (rate of voltage change over time), this should be compared to the motor’s specified insulation. The measurements can also be used to measure switching frequency to identify whether there is a potential issue with electronic switching, or with grounding, where the signal floats up and down. Ensuring that voltage is being supplied at the motor input terminals is key, and the selection of cabling from drive to the motor is critical. Incorrect cabling selection can result in both drive and motor damage due to excessive reflected voltage peaks. Checking that the current present at the terminals is within the motor rating is important as over current condition could cause the motor to run hot, decreasing the life of the stator insulation which can result in the early failure of the motor. Voltage pulses from a variable frequency drive can couple from a motor’s stator to its rotor, causing a voltage to appear on the rotor shaft. When this rotor shaft voltage exceeds the insulating capacity of the bearing grease, flashover currents (sparking) can occur, causing pitting and fluting of the motor bearing race, damage that can cause a motor to fail prematurely. The MDA-550 Series analyzers are supplied with carbon fiber brush probe tips that can easily detect the presence of destructive flashover currents, while the impulse amplitude and count of events will enable you to take action before failure occurs. The addition of this accessory and capability of the MDA-550 allows you to discover potential damage without investing in expensive permanently installed solutions. The MDA-500 Series is designed to help you quickly and easily test and troubleshoot typical problems on three-phase and single-phase inverter type motor-drive systems. 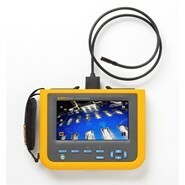 The on-screen information, and step-by-step setup guidance make it easy to configure the analyzer and get the drive measurements you need to make better maintenance decisions, fast. From power input to the installed motor, the MDA-500 provides the measurement capability for the fastest motor-drive troubleshooting. 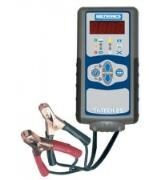 The Midtronics SCP 6/12 battery conductance tester provides a simple method to screen the state-of-health of popularly sized 6-Volt and 12-Volt sealed lead-acid batteries. The 1560 Black Stack thermometer readout can be any kind of thermometer you want it to be, and it works in three distinctive ways. It’s a reference thermometer with a NIST traceable calibration; it’s an automated calibration system reading your reference probe and sensors you’re testing; or it’s a high-accuracy data acquisition system. And it does each of these functions better than any other thermometer currently on the market. The Stack consists of up to eight different modules that fit together to do any type of thermometry you choose. You can buy all of them, or any combination of them, and change the Stack and its functions anytime you want. Each module stacks behind the preceding one, and when you add a module, the Stack’s software automatically reconfigures itself to include all of the new functions supplied by that module. There’s nothing to take apart. No boards need to be installed. There’s no software to load, and nothing has to be calibrated. Just stack a new module onto the back of the previous modules and you’re ready to use the Black Stack and all of its remarkable features. 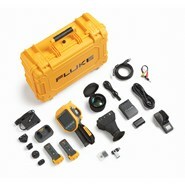 Fluke Calibration’s new Model 9935 Multi Channel LogWare makes the Black Stack an even more powerful data acquisition tool. LogWare provides graphical and statistical analysis of each channel you’re measuring (up to 96 with the Black Stack). And with alarms that can be customized, delayed start times, and selectable logging intervals, LogWare turns the Black Stack into the most powerful temperature data acquisition tool on the market. The Stack starts with a base module. It consists of two parts: a display with the main processor and a power supply. The base module supplies power, communication management, and software coordination for all of the other modules. It has the display, control buttons, and RS-232 port built-in. Each base module can handle eight thermometer modules stacked behind it with a maximum of 96 sensor inputs. The base module never needs calibration and performs its own diagnostic self-test each time it powers up. The thermometer characteristics of each base module are defined by the thermometry modules stacked behind it. There are nine thermometry modules: an SPRT module, a high-temp PRT module, a PRT scanner module, a standards thermistor module, two 1000-ohm PRT modules, a thermistor scanner module, a precision thermocouple module, and a thermocouple scanner module. Each module has its own processor and connects to the stack on a proprietary digital bus. 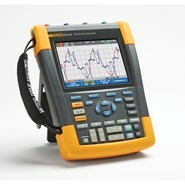 Each retains its own calibration data and performs all analog measurement functions within the module. The SPRT module reads 25-ohm and 100-ohm four-wire RTDs, PRTs, and SPRTs with very high accuracy. It turns the Stack into a first-rate reference thermometer with an accuracy to ±0.005°C. It has two input channels so you can collect data with two reference sensors, or you can do comparison calibrations of one sensor against a calibrated reference sensor. Temperature conversion features include direct resistance measurement, ITS-90, W(T90), IPTS-68, Callendar-Van Dusen, or an RTD polynomial conversion. The user-changeable default values for the CVD conversion fit the 100-ohm, 0.00385 ALPHA sensor described by IEC-751. The SPRT modules can be used one at a time or combined together in any combination for reading up to 16 different reference thermometers. If you stack an SPRT module with a scanner module, you can test multiple sensors against your reference. Unlike other competitive instruments, our PRT Scanner Module operates with or without the two-channel SPRT module. If you can think of a way to use a reference thermometer, you can do it with the Stack. This module reads 2.5-ohm and 0.25-ohm four-wire HTPRTs and RTDs. The complete resistance range covers up to 5-ohm sensors with applications as high as 1200°C. The temperature conversion features are the same as for the SPRT module, and like the SPRT module, the connectors are gold plated. This module reads eight channels of two-, three- or four-wire 100-ohm PRTs or RTDs. The accuracy is ±0.01°C at 0°C for calibration of industrial sensors. The common industrial RTD can be read with the default values in the CVD temperature conversion for fast setup of industrial applications, or you can enter individual probe constants for higher accuracy data acquisition. For 1000-ohm PRTs, these modules provide all the same great features as the 2560 and 2562 Modules. The two-channel 2567 Module has a resistance range of 0 to 4000 ohms and is accurate to ±0.006°C at 0°C. The 2568 Module reads up to eight 1000-ohm PRTs and at 0°C is accurate to ±0.01°C. Don’t use an ohmmeter or multimeter to read your 1000-ohm PRTs when you can use a Black Stack loaded with convenient temperature functions. Special low-drift thermistors are becoming increasingly popular as reference probes in applications with modest temperature ranges up to 100°C. This module has a temperature accuracy of ±0.0013°C at 0°C with a resolution of 0.0001°C. The 2563 Thermistor Module has two input channels. It displays direct resistance in ohms or converts directly to a temperature readout using either the Steinhart-Hart equation or a higher-order polynomial. This module is usable with any type of thermistor but has eight channels instead of the two channels found on the Standards Thermistor Module and operates with or without the Standards Thermistor Module. This module’s accuracy is ±0.0025°C at 0°C for all eight channels. The eight channels make the 2564 module an excellent data acquisition tool. It can be used in research work or for verification of biomedical equipment such as DNA sequencing apparatus. This precision thermocouple module reads any type of thermocouple, including type S platinum thermocouples and the new gold-platinum thermocouples for standards work. This two-channel module has internal cold junction compensation, or you can use an external source for even greater accuracy. All the standard ANSI thermocouple types are preprogrammed; however, you can choose a conversion method and then enter the probe characteristics of your sensor, creating a system-calibrated channel. The 2565 module accepts up to three calibration points for error adjustment in the individual sensor. A polynomial interpolation function calculates the points between your measurements. Type R, type S, and gold-platinum conversions accept complete polynomial calibration coefficients. Additionally, a thermocouple conversion function calculates temperature by interpolating from a table. You enter the temperature in degrees C and the corresponding voltage for your specific sensor from 1 to 10 temperatures. Interpolation is performed between the entered points. This module has 12 channels and reads K, J, T, S, R, B, E, and N thermocouples. Each channel can be set to read a different type of thermocouple. All temperature readings are performed in exactly the same manner as with the 2565 module. The connectors on the scanner module are special dual connectors that accept both the common miniature and standard thermocouple connectors. If you want to use screw terminals, use the appropriately-sized connector with the hood removed. The 1560 Black Stack is an incredible thermometer. You buy only the modules you need for the work you are doing. If your work changes, simply order the modules with the functions you need and slip them onto the back of the Stack. Your thermometer changes its software, display, and method of operation to match the new functions you’ve added. Remember, you never have to open the case to add modules. There’s no software to load. It’s all automatic. Each module stores its own calibration internally, so you can add or change modules without recalibrating the whole stack. Module calibration is digital and is performed manually through the base’s front panel or over the RS-232 link. If your lab has the capability, you can calibrate modules yourself. If not, send them to us with or without your base unit and we’ll recalibrate them. The LCD screen has multiple methods of displaying data, including a graphical strip chart recorder. The graphical capability of the Black Stack makes testing temperature stability easier than ever. Vertical scaling and graph resolution are automatic. The Stack has high-accuracy, two-channel capability or multi-channel functionality if you need it. Its memory stores the most recent 1000 readings, or you can send your data to your PC through the RS-232 port. Each data point is time and date stamped. An IEEE-488 port is optional. With the Black Stack you can read data almost anyway you like—in ohms, millivolts, or temperature, according to your application and preference. Remember, this thermometer’s calibration is traceable to NIST. Its accuracy is as high as ±0.0013°C, depending on the module and sensor you’re using. HEY! WHY DID YOU MAKE IT LOOK LIKE THAT?! We get asked this question more than any other question. There are several reasons for the shape of the Black Stack. When we started the design process on the Black Stack, we wanted a unique instrument that was a true technological leap in thermometry. Incremental improvements are okay sometimes, but if you’re going to lead the industry, you might as well go out and lead it. Here are some of the design criteria we started with. The new thermometer had to be capable of transforming itself into any kind of thermometry instrument the customer wanted, and it had to do this without having to open the box, replace boards or set up anything. All connections must be easily accessible from the front of the instrument, with no connectors on the front panel. The front panel had to be easy to read, all features including programming should be done on the front panel and the programming should take advantage of the graphical capability of the display. The software had to be as creative and as versatile as the instrument. It had to be easy to use and, if at all possible, even fun to use. And finally, it had to be very accurate. The shape of the Black Stack facilitates the function and usability of the instrument. And it is unbelievably functional and fun to use. The only way you’ll truly understand what we’re talking about is to get one and try it. Hundreds of customers, including many national standards labs, already have it! molstics provide a quick connector input for convenient connection to the gas supply. This is followed by a 2 micron (0.5 micron for low flow) filter to protect the downstream components. Then, an adjustable regulator sets and regulates optimum molbloc upstream pressure and protects the molbox transducers against accidental overpressure. The regulator range supports all standard molbloc operating pressure ranges. A bellows shut-off valve, just before the molbloc, allows the gas supply to be shut-off for configuration changes and/or system leak checking. Special cradles support the molbloc(s). A connection and pads are provided downstream of the molbloc for mounting the MFC (mass flow controller), another device under test, or the optional metering valve kit for manual flow control. Single channel molstics are available to accommodate single molblocs. Dual channel models allow two molblocs to be mounted simultaneously to switch between two different molbloc ranges without changing hardware or to take advantage of molbox1+'s capability to run two molblocs in parallel. There are low, mid and high flow versions of molstic. Low flow molstics use a unique, very high stability pressure regulator and minimize dead volumes. They are required for effective use of 2E2-L and lower molblocs and can be used up to the 1E3-L molbloc size. The mid flow molstics cover the ranges of all the molblocs from as low 2E2-L up to the 3E4-L. The high flow molstic is required for the 1E5-L (100 slm) molbloc and supports that molbloc only. 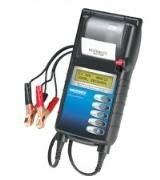 With the Midtronics MDX-300 Series Battery Testers with Integrated Printer, it's now easier and more economical than ever to determine and present the current state of a battery and electrical system. Using patented conductance technology and time-tested reliability, the MDX-300 Series performs a quick and accurate battery or system test in seconds—without heat, sparks or user interpretation. The results can then be printed and reviewed immediately with customers for added impact in preventative maintenance routines and customer service.